There is a gift for every little girl turning 2 years old and if you haven’t found one yet, don’t worry, there are 21 fantastic gift ideas here, so surely you will find one both you and your toddler loves. 21 gifts is a wide variety and we have reviewed different types for making choosing the perfect gift super-easy. There are toys for development, artsy toys, word book toys, cuddly toys, musical ones too, tablets, mats, and loads more too, so whatever you think is best there is one to match. Each toy gift has its own unique qualities and attributes, which makes picking difficult sometimes. Some parents want a fun gift, but also want educational toys that promote their little princesses development. We understand parents concerns and this is why we have chosen some of the best that the market has to offer in terms of toddler development and pure simple fun. These parents that want to combine toys with education can rest assure. We have toys that promote motor skills, hand-eye coordination, shapes for learning, language option, free-form play and loads of creative toys to enhance their little imaginations. Every gift is unique and some parents want one that is stunning, beautiful, one their child will love, but understandably don’t want to break the bank at the same time. We appreciate this and have a wide range of toys from under $10 up to $100, so whatever your looking for there is something to great waiting in store. This lacing beads toy is a perfect skill developer and stimulates the mind of the toddler using it. There are several activities, shapes and each activity will encourage motor skills, hand-eye coordination and overall toddler skills required to fine-tune their skill set for growing. 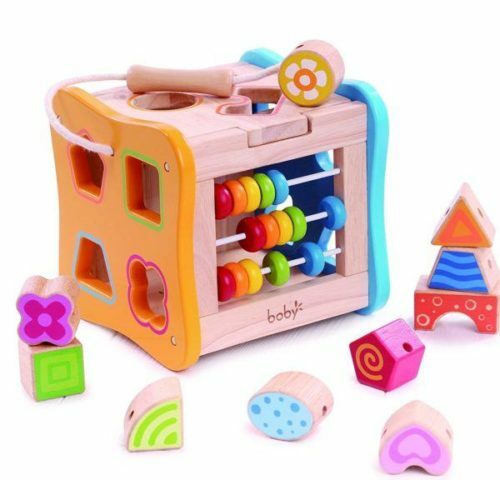 The design of this shape sorter is cool and it comes with a magnetic lid which keeps it secure, so regardless if the wooden shape is turned upside down this holds shape and doesn’t make things messy. The solid wood finish is nice and the paint used to coat the wooden toy is child safe and has to be approved by the CPSC, so any child using this from 1 years old + is ideal. 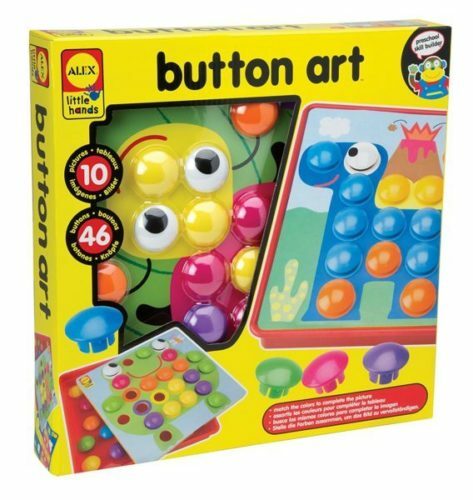 The aim of the game is to match and snap some of the 40 buttons to complete a picture and with over 10 pictures there are hours of fun to get out of this creative gift idea. The little hand’s gift idea is a fun way to make creative play educational, build creative thinking and help them use their imaginations as they progress towards preschool. The game is great for little creative type toddlers who enjoy sitting down to a game, fostering their imaginations and creativity. They can make a picture of everything from trees to butterflies and my favorite is the frog, which looks as friendly as can be. The tray holds all the pieces in one convenient place with a storage compartment, so the pieces should stay together for some time. The age requirement is for 2-year-olds and above, but some kids as old as 6 still enjoy playing with this. Parents appreciate thoughtful gifts with a theme of educational development behind the design and with this touch sensitive toddler book there is no doubt it enhances their cognitive function, fine motor skills as well as be fun in the process of early learning. 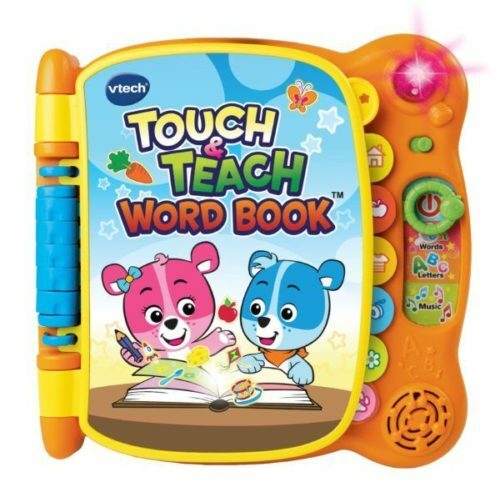 Vtech is great when it comes to toddler toys and we have a few to compare to, but this specific one comes with 12 pages that are sensitive to the touch, 100 words and with 6 categories this is the fast track to learning. There is a quiz game with letters to learn, music to enhance the experience, touch sensitive mode for creating and fostering their imagination with ideas like “what could be next”. Each of these is the fundamental basis for the toddler’s journey with words and helping connect sounds with images, spotting the right word and helping them develop their abilities. For example, the pages react with each touch and interact with the little one’s choices, which builds motor skills, associates sounds with words and helps them learn their ABC’s. 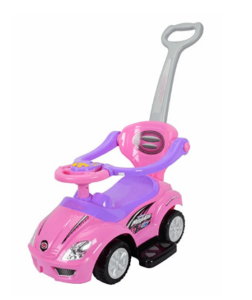 This toy needs 3 AAA batteries and is designed for children aged 18 months old and above. This is a perfect choice for those wanting to help develop their little niece because maybe you are a concerned grandparent and want to promote areas that are currently lacking. This comes in a range of colors and is designed for interactive play with hours of enjoyment to be had. The yellow bus is packed with letter and numbers for learning. The musical journey is full of adventure and will help them to begin counting and hopefully introduce spelling. There are over 20 melodies to help them learn, 26 ABC letters and 10 number blocks that correspond to the toy. 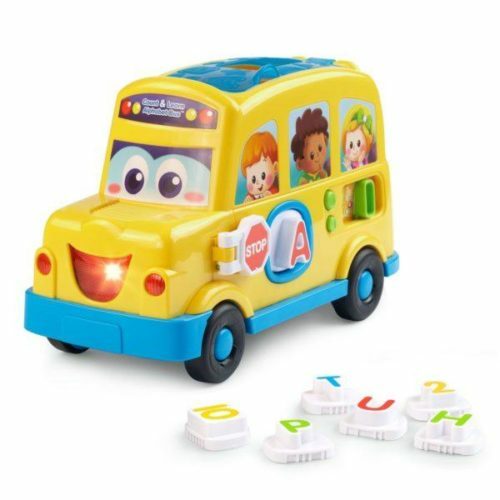 The bus has an interactive personalized feature that uses the first letter of their name and recognizes that letter, which is a fun way to teach them how to spell their name for example. This helps with language skills and can be used with some autistic children. The design is sturdy, stores away easily within the bus and is easy to handle for a toddler. Some parents have complained about the inserting aspect of each letter/number, but this is rare. The top of the bus flips open for easy fill and empty, the aim of the game is to correspond each letter/number into the bus. The phonics, letters, colors and overall design is fantastic for playing with and with 2 AA batteries this gift is ready to use with children aged 2 years +. This 6-Pin bowling game is a fun way to get the kids playing together and having fun. With the carrying case and soft design, this is the ideal gift for any toddler. These beastly bowling figures tower and stand tall until a toddler comes along with an eye for knocking them down as if they are playing real tenpin Bowling. 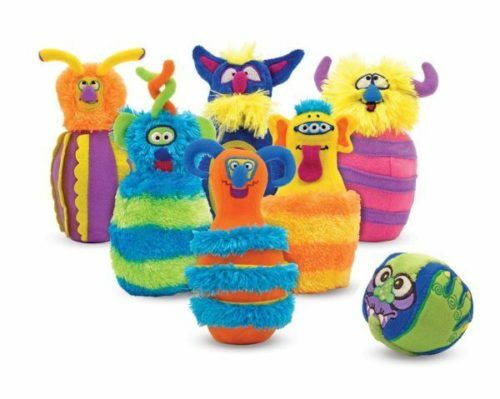 These monsters are soft to the touch and feel great. They come in a carry case and it is zipped for easy to use access. The design of these pins are good and are weighted at the bottom, so they find it easy enough to place upright after they have been knocked down. This gameplay offers help with developing gross motor skills, socializing, emotional control and hand-eye coordination. 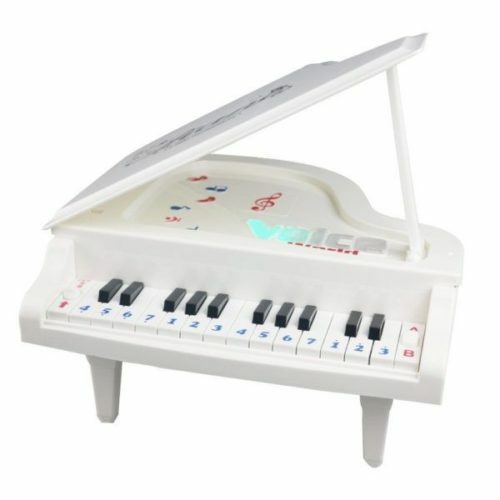 This little piano is great for those little kiddies who want start learning how to use and play the music keyboard. This electronic toy piano is ideal for a birthday gift and is easy to use, fun to play and is reasonably priced. Educational toys are fantastic and with this beautiful, light, and entertaining toy this really is a great choice for making their special day unique with lasting impact. The piano features 14 keys and is easy to use, needs 3 AA batteries (not included) and boasts 5 tones, which go along with 8 songs for helping them to learn as they listen. This also looks like a grand piano and has a lid for looking fancy and delightful look overall. This is designed for kids aged 3 years old and over, which is a great age for them to begin their musical career. 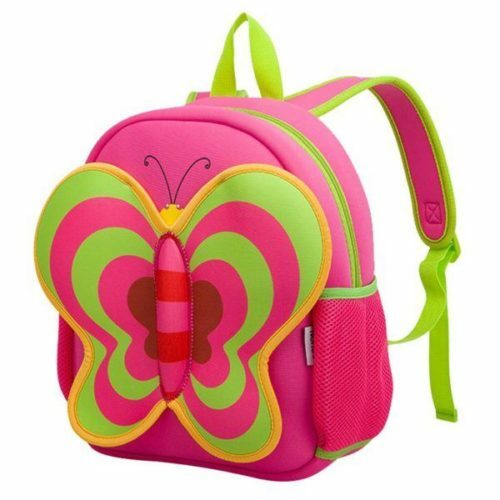 BINGONE produce great quality colorful animal bags and the exquisite look of this backpack says it all, both vibrant and with brightly colored butterfly to bedazzle onlookers. This shoulder bag is breathable, waterproof, lightweight, shockproof and flexible for little girls use. The cartoon and backpack are all pink but there is also others colors made by the same brand. This is designed for 2-year-old girls and up, which is why this is a thoughtful gift choice, especially for them reaching kindergarten. There is loads of space capacity inside and this can handle food, both hot and cold. This can be used on travels to visit family or even going for a long walk. The size is 13 inches by 10 inches and is a perfect fit, especially with the padded straps and adjustable ones at that. This means they can grow and the backpack still can be used over the long-term up until they reach 7-9 years old. Every little kid is wanting to use their parents iPhone, iPad, Tablet and this is why this Little Apps Tablet is the perfect gift idea for them to feel all grown-up. 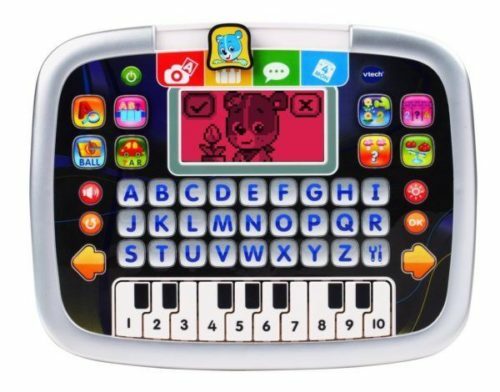 There are different buttons for pressing and a piano keyboard to use with the inbuilt games and activities on this tablet. There is a total of 12 activities for learning with and each has progression for adapting with abilities and capacity. The tablet does its best to engage with the user and has role-play and color-changing functions for increasing the spark of interest. Parents will be happy to hear there is a volume control function and with only 2 AA batteries needed this is a fun and educational gift idea. This is aim at toddlers and young children with a manufacturing guideline of 2-year-old children and above. I would not recommend for children aged over 4 years old. 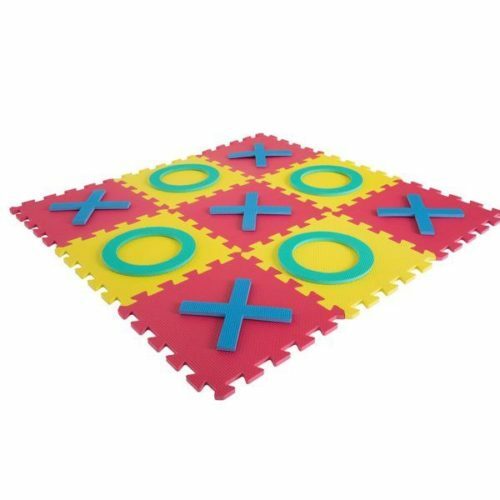 Two-year-olds everywhere will love this Giant tac-tac-toe game. Is makes for a neat birthday present because kids can play it at the party, inside or outside. The giant squares interlock with each other, making it very compact when playtime is over and you’re putting it away for storing. When assembled, it measures an impressive 125 inch by 125 inches. You won’t find a bigger foam matt anywhere else. Foam is very durable and can handle spills, being trodden on and mud, making it a great toy for little ones that like to get messy. Now your little girl has reached two years old, a number of things needed to ensure that you have everything you need all day adds up to a lot. 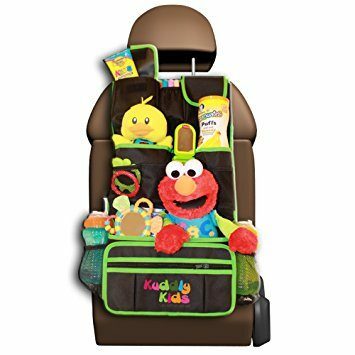 Now at least you can keep your car/minivan clutter free with this tough, durable and kid resistant car organizer. It has 15 different pockets and can store everything from your cell charger to your little one’s toy. Handcrafted, quality is guaranteed, and with 100% refund, if you find any fault with it from the manufacturer, you can rest easy. 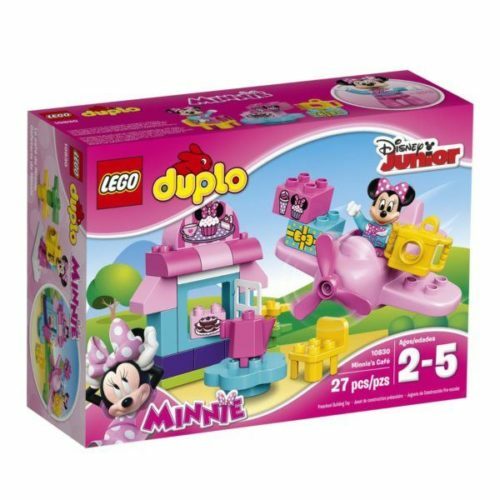 Encourage your little girl to explore her creative side with this LEGO set from DUPLO. An age rating of 2-5 means that no small parts will be swallowed accidentally, so no risk of choking. The set contains 27 pieces and when assembled makes up a cafe with an opening window, table, and chair, plus a delivery plane with turning a propeller. You get a number of accessories too, a teapot and a camera that you can even use the viewfinder on. An amazing gift for any 2-year-old girl. Little boys and girls love going to the park and the slide is always one the favorite things to do. It brings so much joy to parents everywhere to see a child shout with joy when they’re using the slide. 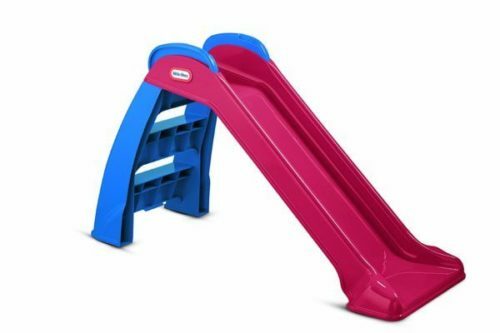 Made from durable plastic, this slide will hold up in the toughest weather conditions. The handrails snap up and the whole thing folds down without the use of tools, allowing for easy storage. 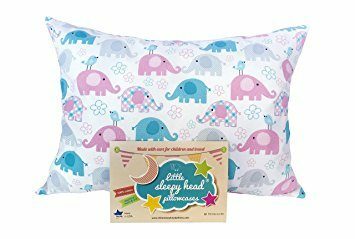 Now your little princesses dreams can be full of blue and pink elephants. This top quality pillowcase is made out of 100% machine washable cotton, which after every wash, gets softer and softer. The pillowcase is not only cotton but it’s also hypoallergenic, meaning that it’s kind of delicate skin and lungs. The pillowcase is made to fit pillows that measure 13 inches by 18 inches, the perfect size for little heads. 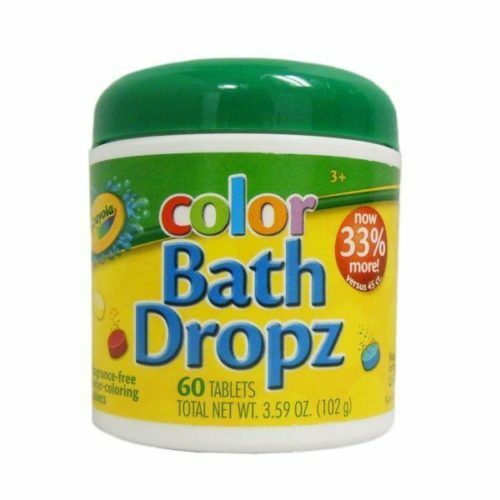 Your two-year-old daughter can now have the most amount of fun during her bath time with these color bath drops. They make a great present, especially if your little girl likes to get all mucky. Drop one in the bath and watch the water magically change color. Don’t worry, they’re odor-free and won’t stain your precious one’s skin. In the container, you’ll find 60 assorted drops, ready to go. Combine the different colors in the tub to really mix things up. Learning to walk can be quiet the task for a little two-year-old, but this micro scooter can take all those troubles away. This present is perfect for developing a sense of balance and co-ordination. The non-marking wheels are great for indoor and outdoor use too, so you can keep a close eye on them wherever they roam. 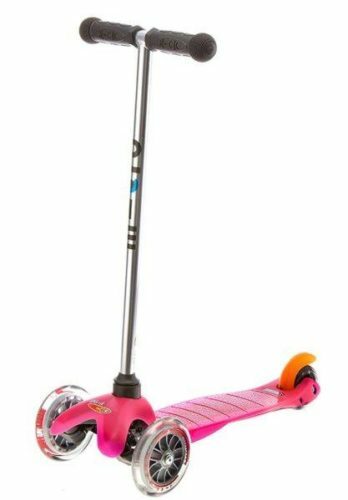 Standing at inches and weighing only 3.13 pounds, it’s the perfect combination for you child to get from A to B quickly. A perfect gift for those two-year-olds that want the freedom to roam around, but quickly get tired. It’s a stroller, walker car and a riding car all in one. If the little one wanted to be independent of you pushing her around all afternoon, she has the option to scoot her self around, and then, when she gets tired, just attach the handle, and push her all the way back home. The steering wheel has buttons that make noises and lights that flash to keep her entertained while she drives along. designed for 2-5-year-olds. Educational gifts are probably the best kind of gift that one can hope to give. Fun whilst learning is a sneaky way to raise your child’s intelligence. 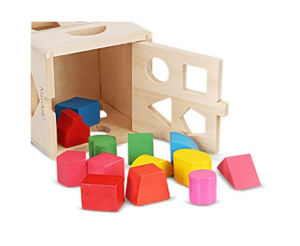 This wooden box toy will improve your little girl’s problem-solving skills whilst help her to recognize different shapes and colors. A perfect gift for those little ones exploring with their hands and what they’re capable of. Anybody starting pre-school should benefit from this toy. Any little girl would be delighted to find out that bath time is now full of little boats that float around with her. 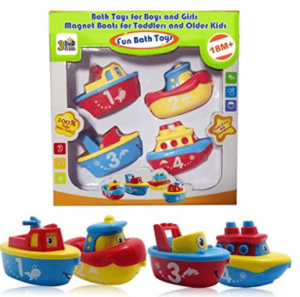 This pack of four boats has magnets hidden inside the stern and the bow so they can be towed along by each other, adding an extra element of fun to them. As well as being fun, they are deceiving educational also. With numbers written on the side, bath time is now learning time too. These are also certified BPA free, lead-free and phthalate free. So safe for children and made to last too. 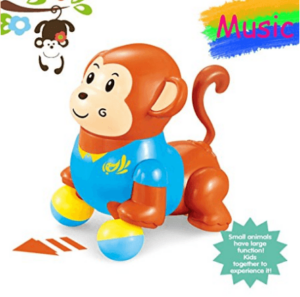 A perfect little gift for your two-year-old daughter, this monkey has everything you could want or expect from a monkey. Standing at 5 inches tall, this little guy can fit in your toddler’s bag and is easy enough to carry around everywhere. He walks along, sings and swings his head in time the beat, spreading joy as he goes. The high-quality plastics used means that it’s perfect for two-year-olds that love to put things in their mouth, push things and pull things along. 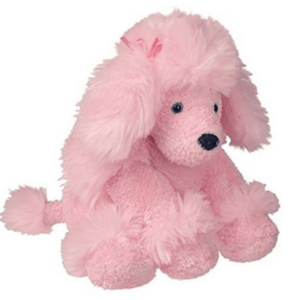 Penelope Poodle is the dog that your little one has been dreaming of all her short little life. She’s small enough for tiny hands, standing at a well thought out 9 inches tall. She is easy to stand up, meaning that children can interact with her and play tea parties. The strict quality standards that the makers of this cute little pup adhere to mean that this toy could potentially last a lifetime. Ideal for making memories with.